Ending Breast Cancer Begins with You! Breast Cancer is still alive and well in the world. Last year, nearly 2 million men and women were diagnosed, and if something doesn’t change, 13 million lives will be lost to this epidemic in the next 25 years. If there is one disease I hope I can help protect my 4 daughters from, it’s breast cancer. There is no absolute guarantee you or I won’t get cancer if we eat a plant-strong diet, exercise daily, drink pure, filtered water and take supplements that help to balance our hormone levels – BUT I can guarantee, if you do eat right, exercise and take these supplements, you’ll be fit and trim and you’ll forget forever what PMS feels like! Our three hormone balancing formulas, Balanced Woman, DIM and Progesterone Boost, were created to help to eliminate all the symptoms associated with estrogen dominance and hormone imbalance. Using these formulas can help you to lower your risk for breast cancer and live above the bloating, acne, insomnia, mood swings, carb cravings and heavy, painful periods. Ending breast cancer starts with each of us making the best choice for our own health, so try our hormone formulas together for a month – and you’ll start feeling the best you ever have! LIMITED TIME OFFER: Save an additional 10%* on Balanced Woman, DIM , and Progesterone Boost through October 31st! *Limit 3 per customer @ sale pricing. One of the BIGGEST MYTHS of modern medicine is this – We are all Estrogen deficient. The fact is, most of us are flowing over with too MUCH Estrogen! Where do you think the breast and prostate cancer epidemic came from? The REAL truth is this: Basic daily exercise and a vegetarian/zero saturated fats diet will correct the problem! Westerners are generally up to their ears in Estrogen due to gobbling down endless amounts of saturated fat, drinking alcohol, not getting any exercise, lack of fiber, and epidemic obesity. For the past twenty years I have talked extensively about the power of a thing called Indole-3-CARBINOL or I3C, a miraculous compound found in cruciferous vegetables. I3C, which is a precursor to DIM, can about eliminate out-of-control Estrogen and Estriol levels in both men and women. Hope for Your Best Breast-Hormone Health! October is Breast Cancer Awareness Month and we want to remind you that you can take steps right now to lower your risk of this dreaded diagnosis. 1 in 8 American women will be diagnosed with breast cancer and according to the CDC, other than a few types of skin cancers, breast cancer is the #1 cancer among all women and it is the #1 cause of death from cancer among Hispanic women. 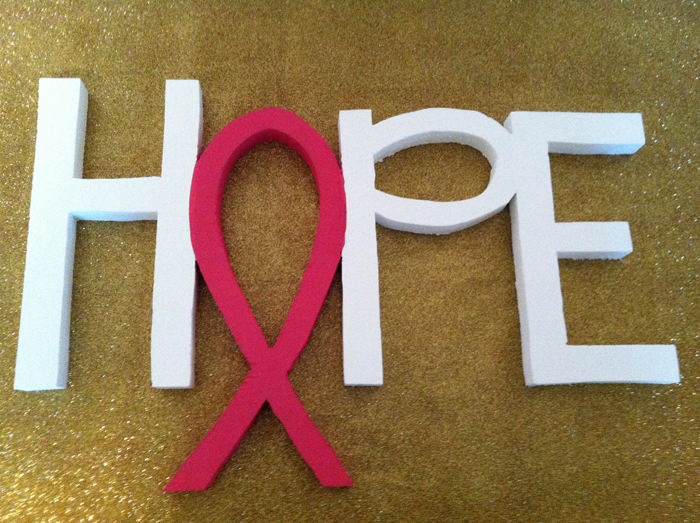 Close to 250,000 Americans are diagnosed with breast cancer every year, and over 40,000 die of it. Why is it that China and other Asian countries rarely see breast cancer? It is because Asian cultures are geared toward living a healthier lifestyle – they rarely eat red meat and dairy, and their diets are primarily vegetarian. They walk everywhere and include additional exercise into their daily routine. Their stress levels are significantly lower than Americans, who have some of highest stress and anxiety levels in the world. You can probably imagine what I suggest you do in order to lower your risk of breast cancer. First, you need to stop eating meat and dairy products. Second, you need to exercise – every single day! And take our Balanced Woman Formula. When I was in China, I asked the professor at the Institute where I was studying why I had never heard any of the Asian woman discuss hot flashes, breast cancer, mood swings or PMS? The Chinese women ate primarily vegetarian, drank pure soy milk – no dairy – and a special herbal tea called “Eternal Flame”. As you can imagine, I seized the formula and ingredients for the tea, and brought them with me to America. Overnight, Balanced Woman was one of our top selling formulas and still is – because it works! Absolutely NO pharmaceuticals are involved! No drug could possibly accomplish what Balanced Woman can. The ingredients in this formula are so powerful that China has one of the lowest rates of breast cancer in the entire world! LIMITED TIME OFFER: Save an additional 10%* on Balanced Woman through October 21st! Leaky Gut is the the root cause of over half of all chronic disease. The fact is, millions of Americans suffer from it and are dying from the diseases associated with it – autoimmune disorders, inflammatory bowel disease (IBD)/ irritable bowel syndrome (IBS), type 1 diabetes, autism, allergies, asthma, and now, cancer. The crazy part is, you might have it and have no idea what “it” actually is. Leaky Gut Syndrome is basically the breaking down of the walls of the intestine, so that undigested food particles, toxic waste and bacteria “leak” through the intestine into the blood stream wreaking havoc on your immune system – and worse – causing disease. This damaging of the intestinal walls is caused by a variety of factors: unhealthy diet, food allergies, taking antibiotics and over-the-counter pain medications, incomplete chewing, inadequate stomach acids and pancreatic enzymes, overeating and stress. In a study conducted by Thomas Jefferson University, researchers discovered a direct link between leaky gut and the root cause of several types of cancer. In fact, protecting the lining of the gut can potentially protect the entire body. The very first thing you can do is improve your diet. The Standard American Diet is woefully overloaded with processed foods and sacrificing fresh fruits and vegetables. The time is now to take a serious look at what you eat and the opportunity to kick-start a lifestyle. The primary contributors to Leaky Gut are wheat, meat, processed foods, dairy, soy, alcohol, caffeine and processed sugar. Ideally, move toward a vegan diet. If you need help with shifting to a plant strong or vegan diet, don’t hesitate to call our Plant Strong Nutritional Support Team and they can walk you step by step through the process. I highly suggest you start taking our Pro-Biotic Max Formula which contains a high quality spectrum of 25 Billion live probiotics or “friendly bacteria” per capsule to support gastrointestinal health, promoting the absorption of nutrients in the stomach and intestines, as well as improve elimination of toxic compounds. Did you know antibiotics kill good bacteria? Pro-Biotic Max will help to replenish the friendly bacteria in your digestive system to help heal Leaky Gut Syndrome and boost your immune system. Avoid excess grains, lectins, gut allergens, and fermented/yeast growing foods that can cause inflammation in your gut. You might not be allergic, but you may have an intolerance. Try an elimination diet and reintroduce these triggers to see how you feel – or rotate foods so you aren’t eating the exact things all the time, which can create an allergy. Take charge of 100% of what goes into your body. Add digestive enzymes to your food to help with gut health and better digestion and absorption of food. Add our Transform-Zymes to every meal for a month and you won’t believe how much better you feel! Eliminate all processed foods. These are probably the very worst things you can put in your body. Think of it like this – If it wasn’t around 100 years ago or comes in a package, don’t eat it. Eat way more vegetables and healthy fats. Of course, more vegetables is a no-brainer! But, healthy fats can be tricky. Try our Omega 3/6/9 Formula, and also include healthy fats in your diet, like avocado and Coconut Oil. Last, but by far the least, lower stress! This might be another no-brainer, but stress kills and no one else will lower your stress for you – take charge of your life and make a commitment to do something for yourself every single day – even if it’s just deep breathing. It can save your life!